This section of the website is to demonstrate the use of Posters and Radio in WW1 and its affect on local citizens. Seeing as there was little to no use of film and television, messages issued by the government remained more localized than in the Second World War. We also have created a small timeline for the main events that happened during the war. The use of posters in the First World War was mainly for procuring means such as money, men and resources to sustain the military. Some countries benefited more from posters and leaflets because their “army did not have a policy of national service, as would have been standard in major nations such as France or Germany” (Michael Duffy, Propaganda Posters). Many posters such as the Uncle Sam posters in America were used to impose conscription and were used as recruitment advertisements. Most of these posters remained up for the duration of the war (Michael Duffy). The British version of the Uncle Sam recrutment poster. 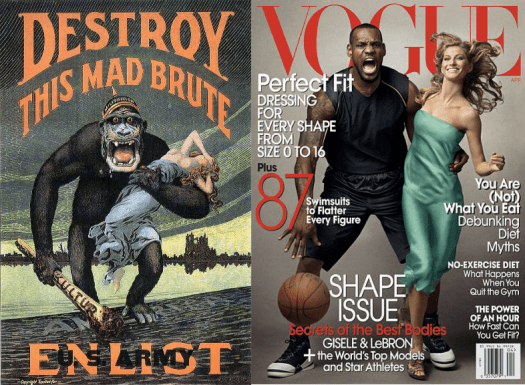 A pretty cool parallel between a recrutment poster and a Vogue Issue. Your thoughts are welcomed in the comment box. Posters for food advertisements were distributed by the Food Administration, they helped keep citizen morale up. Even though Radio was cut off for amateur use, wireless transmitters were used to broadcast music and news to the wounded soldiers in hospital. Shows such as “Moonlight Witches Dance” were broadcasted for military entertainment in between the radio restrictions of November 1918 and 1919 (Thomas H. White).